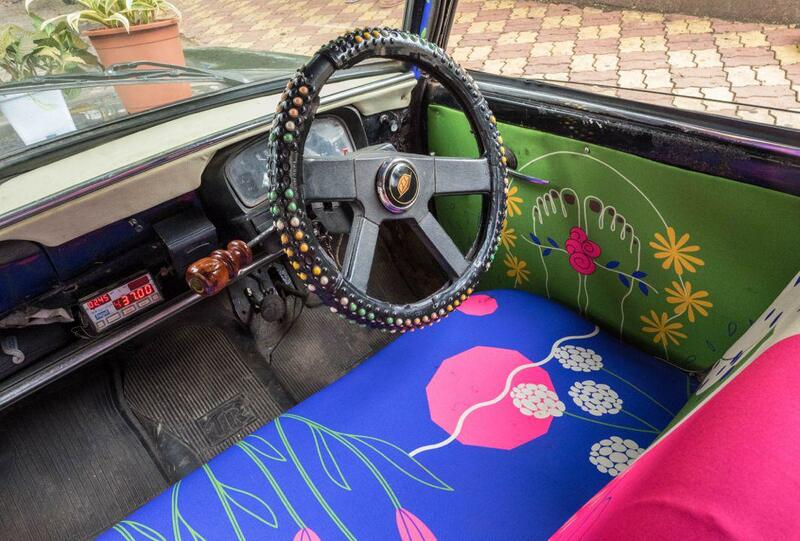 Taxi Fabric is redecorating the interior of Mumbai’s taxis one colorful, over-the-top design at a time. 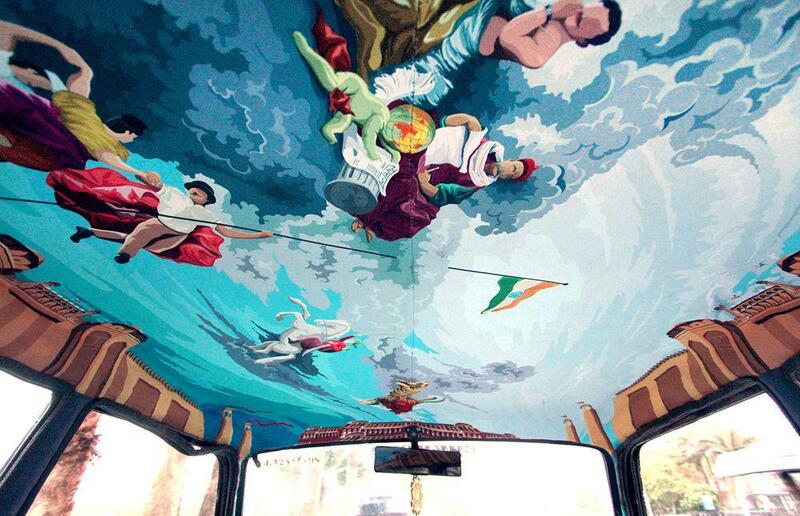 Indian designer Kunel Gaur’s taxi fabric ceiling fresco, “A Century of Revolt,” is inspired by the history of a young India’s struggle for freedom. 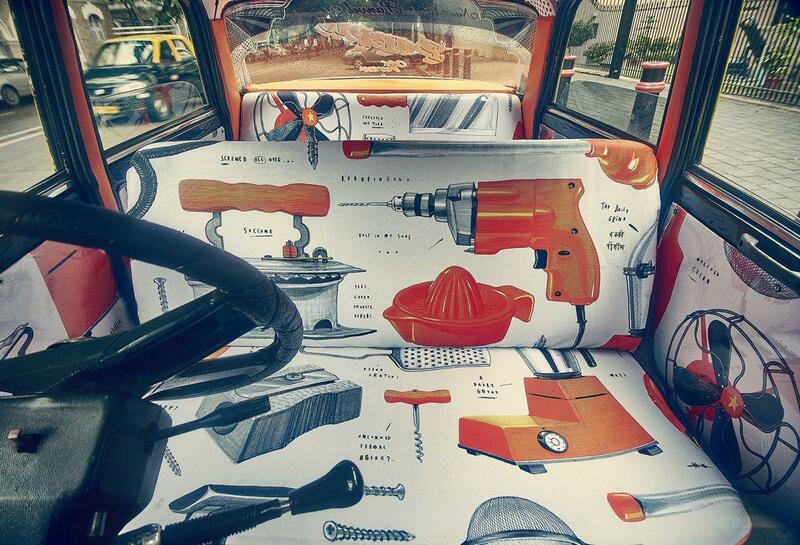 Design is everywhere, but it’s often invisible, like the nondescript fabric on a taxi seat. 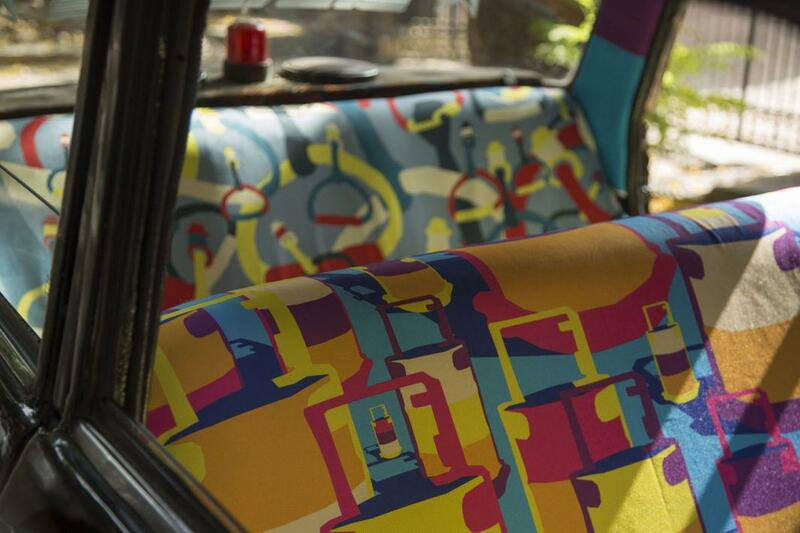 Now a group of designers in Mumbai, India, have turned the interiors of city taxis into a vehicle for promoting the country’s emerging design talent with a project they’re calling Taxi Fabric. 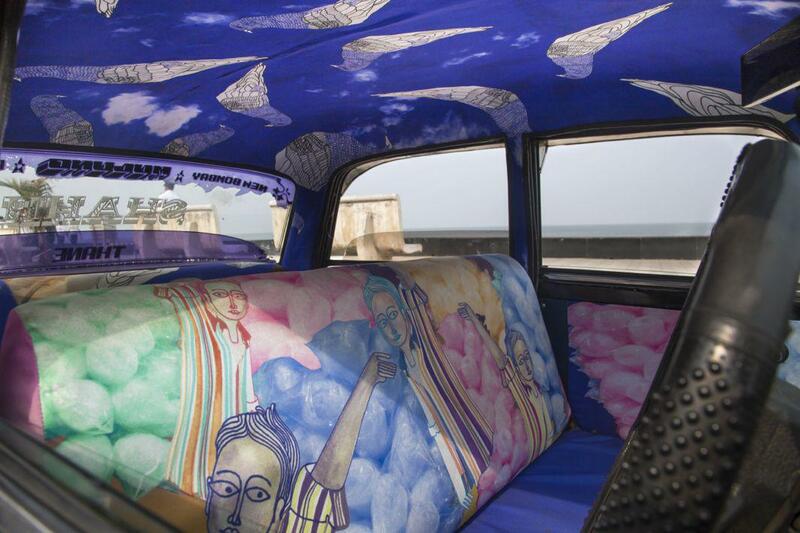 “Chowpatty” taxi fabric, by graphic designer Shweta Malhotra (right), is inspired by memories of Mumbai’s Chowpatty Beach. 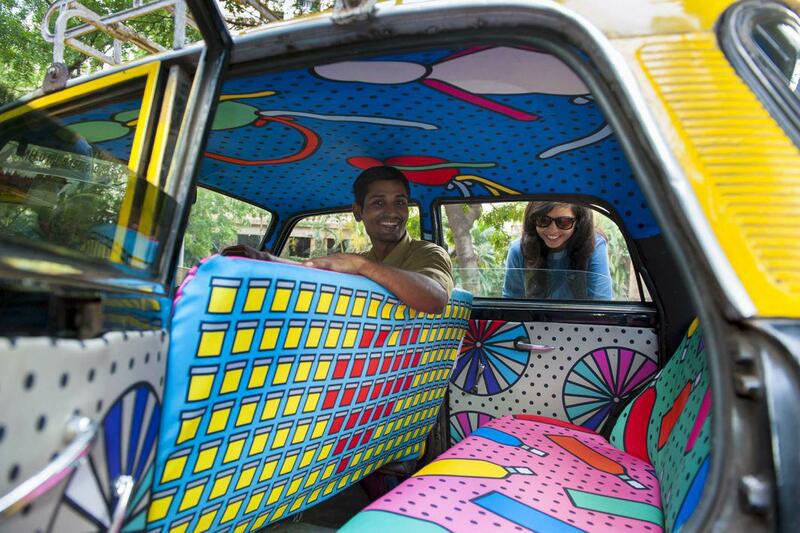 So Taxi Fabric decided to commission young designers to create bespoke fabrics for the insides of the Mumbai’s taxis that reflect the city’s life and culture. Each revamped taxi includes a label with the story of the design and contact information for the designer. 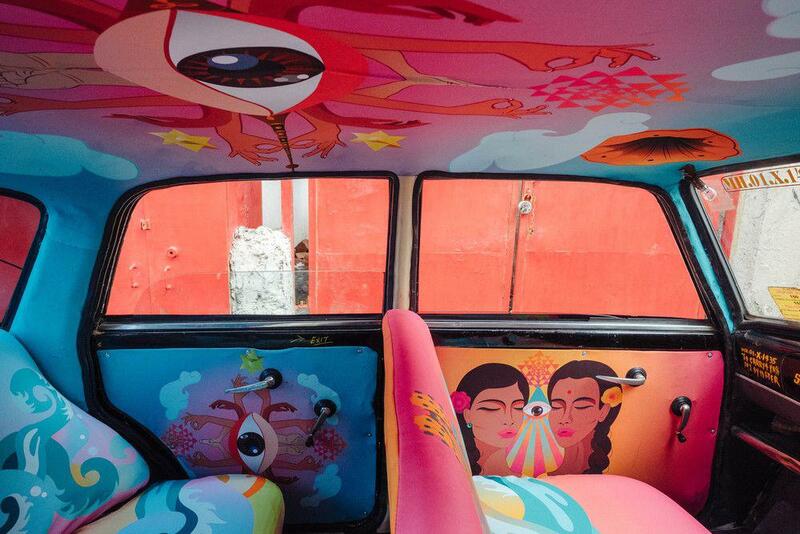 Taxi fabric designed by Indian illustrator and visual artist Sameer Kulavoor. According to the folks at Taxi Fabric, Indian parents don’t want their children to grow up to be designers. Pakistani designer Samya Arif says her taxi fabric design is based on the similarities between Indians and Pakistanis. 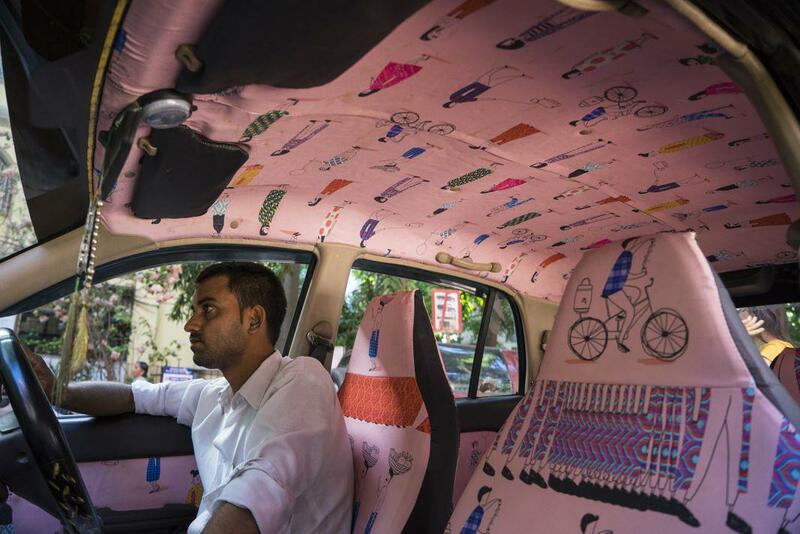 The group has outfitted 10 different taxi fabrics in cabs currently picking up fares in Mumbai, and thanks to a recently well-funded Kickstarter campaign, they plan to make 25 more by the end of the year, for a start. Typographer and designer Pavithra Dikshit’s taxi fabric is inspired by the flora and fauna in Bombay. “The feet on the driver door are a sign of worship and keeping in touch with Mother Earth that you walk on,” she says. Art director and designer Sanket Avlani’s design was inspired by Mumbai’s lunchbox-carrying dabbawallas. This design by graphic designer and illustrator Gaurav Ogale features a ceiling of pigeons and was inspired by the taxi driver Nasimuddin Chacha.